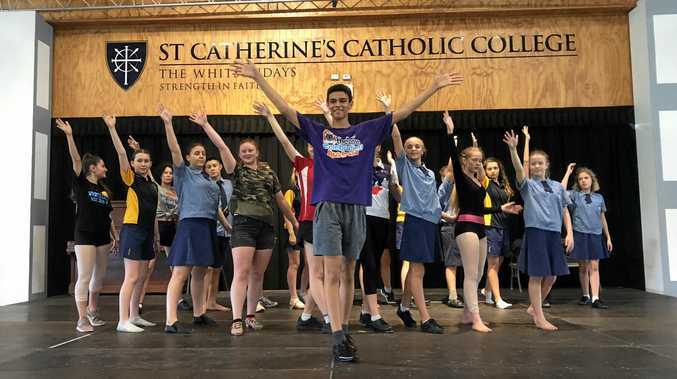 SET FOR THE SHOW: Students from St Catherine's Catholic College are busy preparing for their production of Singin' In The Rain, to be staged later this month. WHAT a glorious feeling - it is school musical time again. St Catherine's Catholic College invites the community to come and sing along to their production of the 1952 romantic comedy classic - Singin' In The Rain. In just a few short weeks, students will take to the stage to blow the socks off audiences proving they can act, sing and dance. More than 50 students, ranging from Year 6 to Year 12, make up the ensemble. Senior college teacher and musical director Betsy Atkinson said the students had worked tirelessly to create something truly remarkable. "This show is one of the best I have ever worked on and it will surprise, and delight everyone who watches it," she said. Year 10 student Josie Bates plays Lina Lamont in the musical. She said she was looking forward to wearing the amazing costumes and seeing the dances coming together. "I have really enjoyed having fun on set and doing the film scenes," she said. "I hope everyone enjoys the show." Principal Melissa Scherwitzel said the musical was a wonderful platform for students to showcasing their skills. 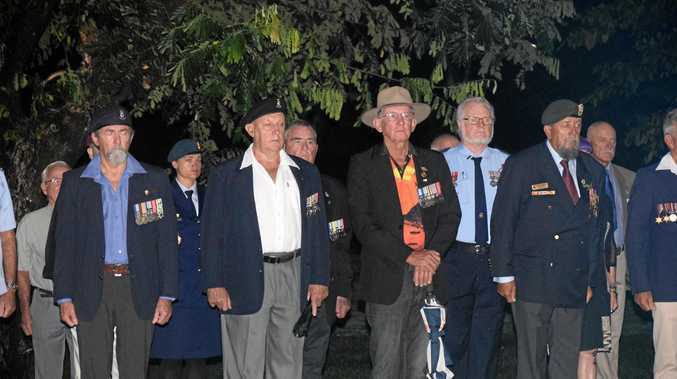 "Betsy Atkinson, together with the support of teaching staff from St Catherine's Catholic College, have provided an authentic learning experience for the students to work as a team, to build resilience and to grow in confidence," she said. "I am confident that our students will shine upon the stage as a result of the way Betsy and her team have empowered the students to be the best they can be. Tickets are on sale now and can be purchased at www.flexischools.com.au or by contacting the senior campus office on 49451630. COST: $18 adult, $10 child (aged 6-17 years), free five years and under.